Hollywood couple Sarah Jessica Parker and Matthew Broderick are reportedly considering moving from New York City to Donegal. The married couple own a house in Kilcar and often take holidays here but they are now thinking about making Donegal their permanent home. According to America’s Star magazine, Sarah and Matthew want to swap city life in New York for the peace and tranquillity of Ireland. 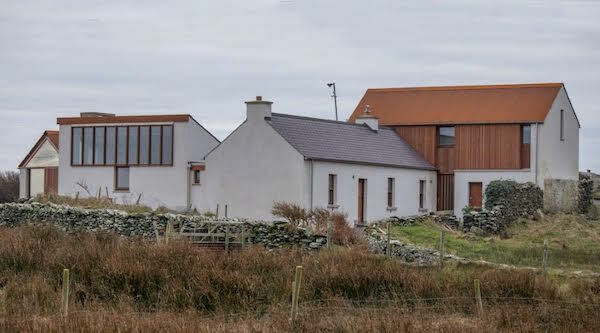 Donegal Daily revealed recently how the couple’s home in Kilcar is complete following a stunning renovation. Sarah Jessica Parker and Matthew Broderick’s newly-renovated home in Kilcar. Pic by Northwest Newspix. The house was completely transformed over the past six months following a redesign and extension to their original cottage by a firm of Dublin architects. The couple and their children even spent Christmas and the New Year here. The Irish house has been in Matthew’s family for over 40 years and the pair – who have James, 16, and twin daughters Marion and Tabitha, nine, together – recently renovated the idyllic property.